The Nevada Builders Alliance announced Shaheen Beauchamp Builders LLC as the recipient of the Golden Hammer Award for its contribution to Northern Nevada’s economic development for the 2016 expansion of Top Notch Distributors, Inc.’s Carson City distribution center. The award will be presented at the Northern Nevada Development Authority Pioneer Awards dinner at the Carson Nugget Friday, March 31, beginning at 6 p.m.
Top Notch Distributors is a national supplier of architectural locksets and hardware for residential and commercial buildings with distribution centers in Carson City, Missouri and Massachusetts. 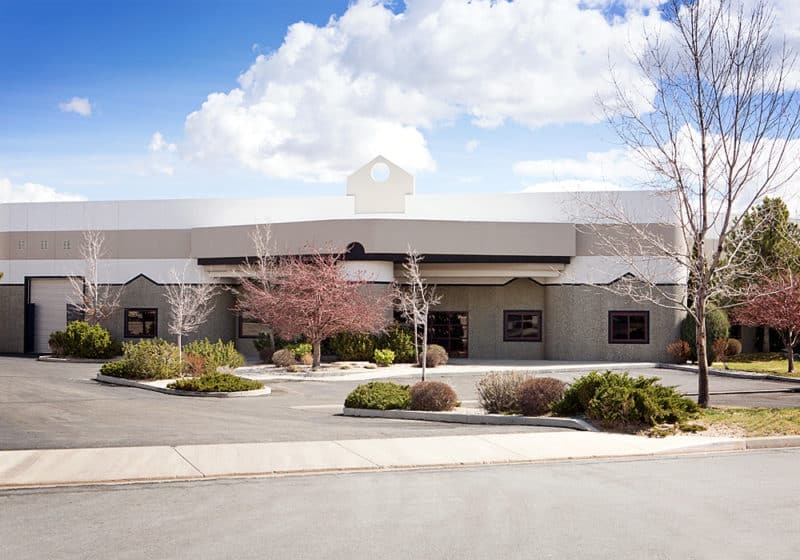 The company now has 40 employees in sales, supply chain operations and warehousing in its location at 3039 Research Way, making its Carson City location its largest facility. Chuck Jurgensen, chief executive officer for Top Notch, said the company chose Carson City because of its size and location, and has worked with Shaheen Beauchamp Builders for each of its four expansion projects, the most recent, an increase of their distribution building on Research Way, doubling their capacity with the addition of 33,000 square feet. Shaheen Beauchamp Builders was founded by Jeff Shaheen and Mark Beauchamp in Carson City in 1998. Since then, the company has built millions of square feet of industrial, office and retail space throughout Northern Nevada, offering renovation, remodeling and new construction. Projects of note include the Carson City Animal Services Building, the William N. Pennington Teen Center at the Boys & Girls Clubs of Western Nevada, and most recently, the Renown Physicians Clinic located at the Summit Mall in Reno. Design for the Top Notch project was completed by Frame Architecture, Gabbart & Woods Structural Engineers and Lumos & Associates, Inc. The project was completed using 16 regional sub-contractors, employing as many as 65 skilled workers throughout all phases of construction including Alexander Heating & Air out of Reno and A.M. Smith Electric, Inc. Other sub-contractors include 5th Generation Lath & Plaster, Alcal Arcade Insulation, Alexander Heating & Air Conditioning, Bonanno Concrete, CTU Precast, Dynamic Painters, Gradex Construction, Next Generation Drywall, Northeast Masonry, NVision Glass, Overhead Door, Panelized Structures, Reno Forklift, Scott Fire Protection, Sierra Floor Covering, Sierra Single Ply, Signature Landscapes, STTructures and Tile Alliance. Aaron West, chief executive officer for Nevada Builders Alliance, said the organization was pleased to select Shaheen Beauchamp Builders to receive the award.